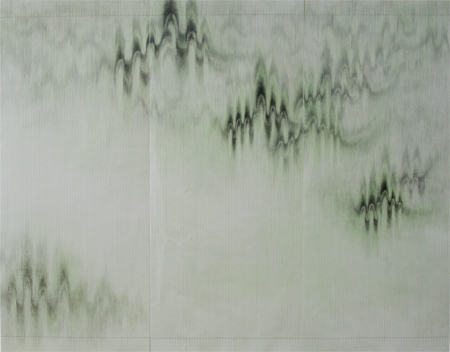 Cindy Yuen-Zhe Chen‘s drawing practice examines circumstantial experience and searches for the inner line of things which have no form. 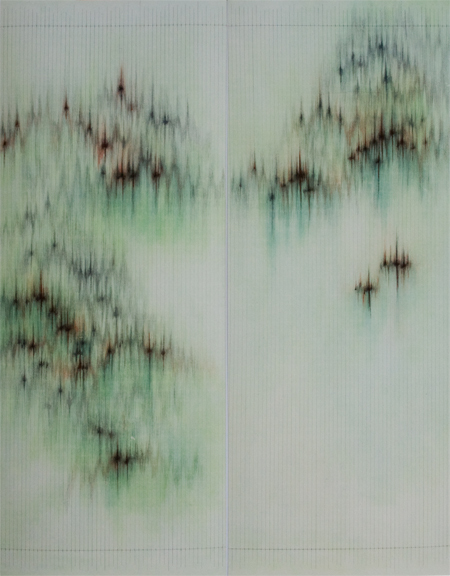 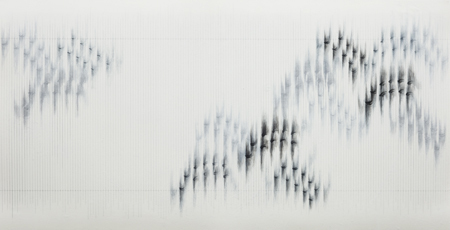 Through experimental drawing and ink painting, she explores the process of perceptual engagement with visual and acoustic phenomena in the natural environment. 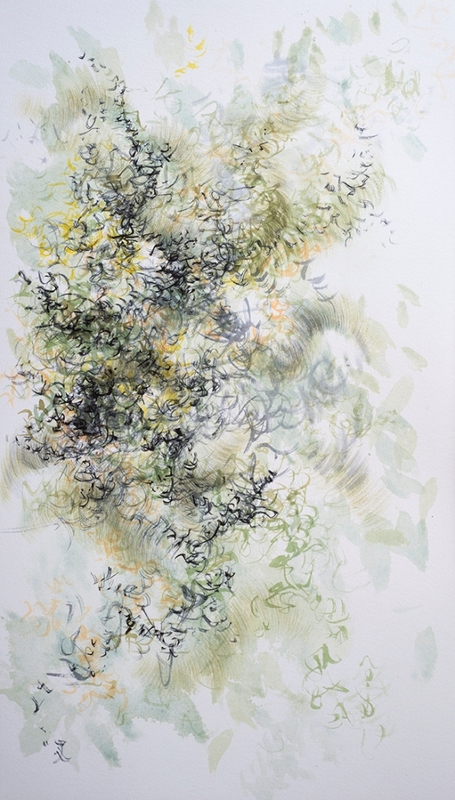 Her drawings examine experience as an aggregate of sensory elements; for instance, a pulsating colour or the shape of a sound. 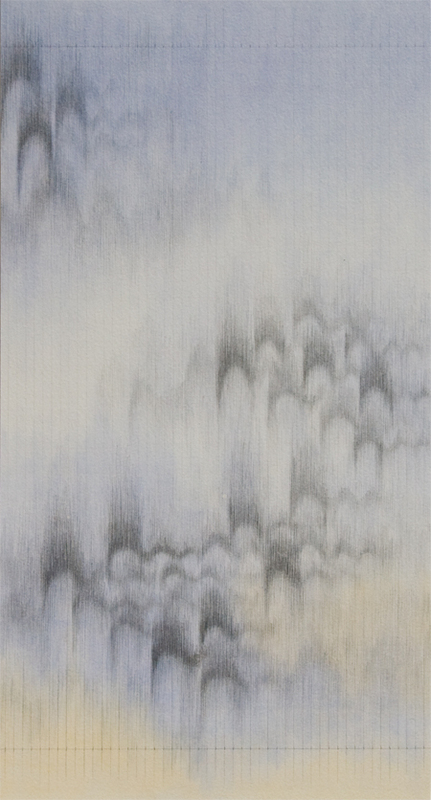 She explores how perceptual engagement builds a nebulous network of attachment to place, based upon memory and emotion. 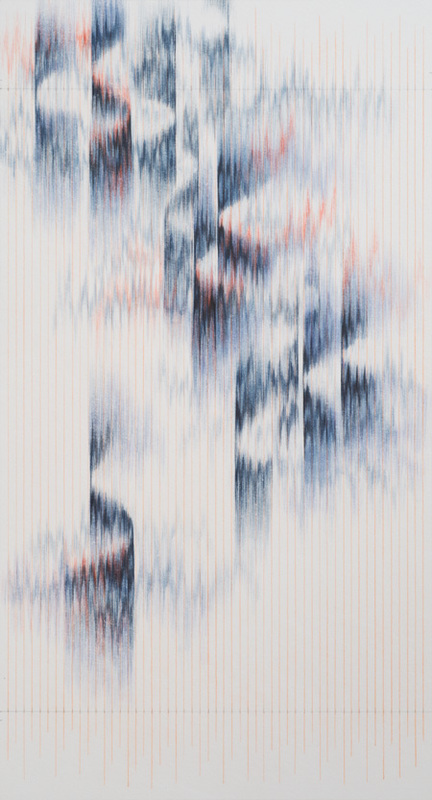 Bird calls and the sonic shock wave of thunder are some of the phenomena which provide the stimulus for these works. 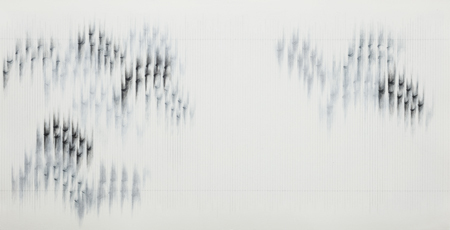 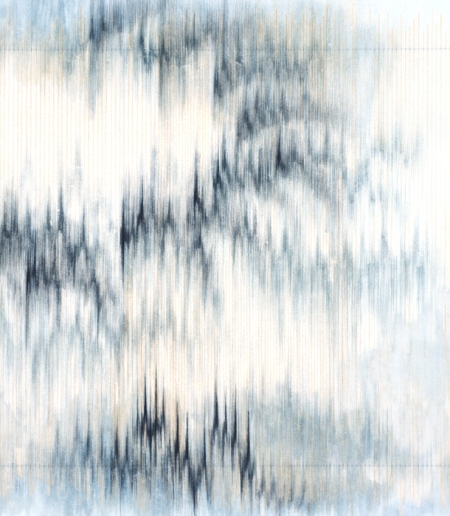 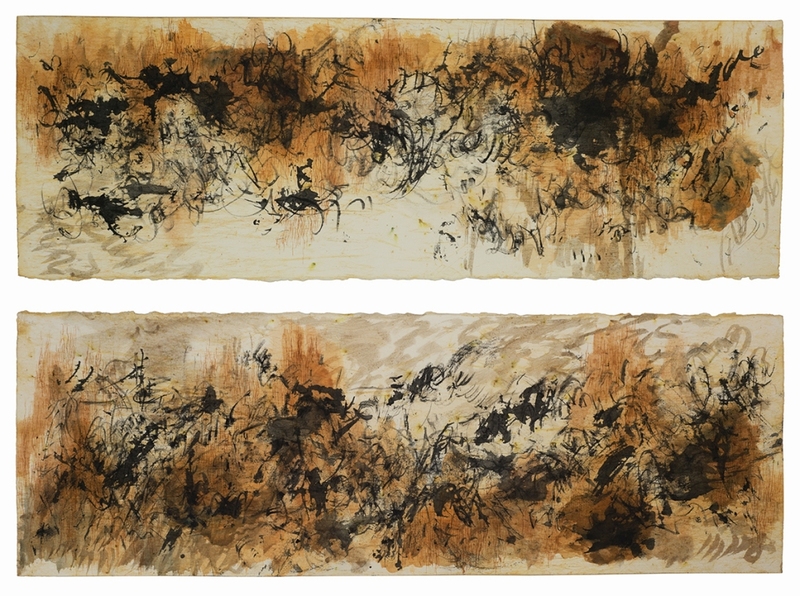 Cindy Yuen-Zhe Chen uses drawing to translate sound experience into a visual form. 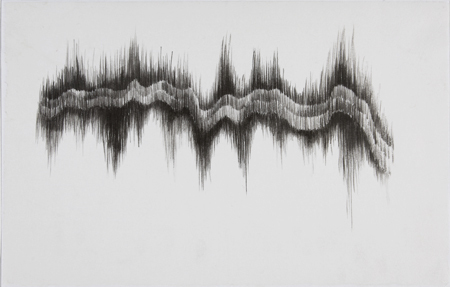 Her drawings are intuitive interpretations of sound and its movement through time and space. 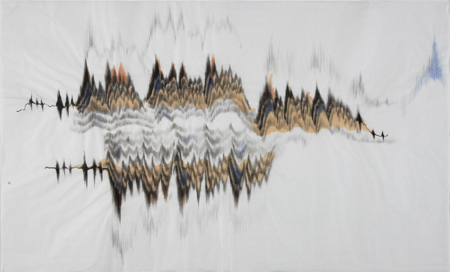 They are informed by Buddhist philosophy, the Australian soundscape, and are influenced by the spatial dynamics of Chinese landscape painting and alternative graphic notation systems. 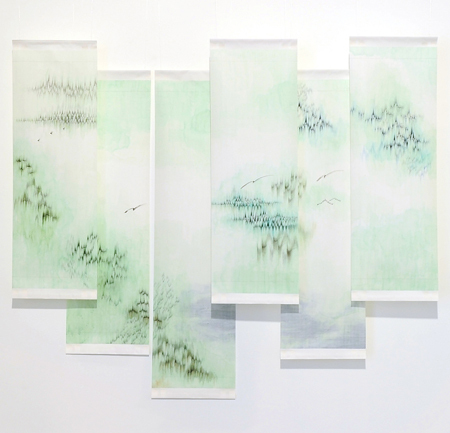 As the recipient of the Australian Postgraduate Award, Chen is currently undertaking a Doctor of Philosophy degree in Fine Arts at the University of Sydney. 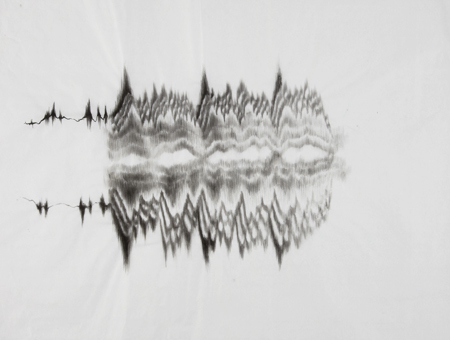 Her research investigates the convergence of aural and optical perception in the embodied experience of place. 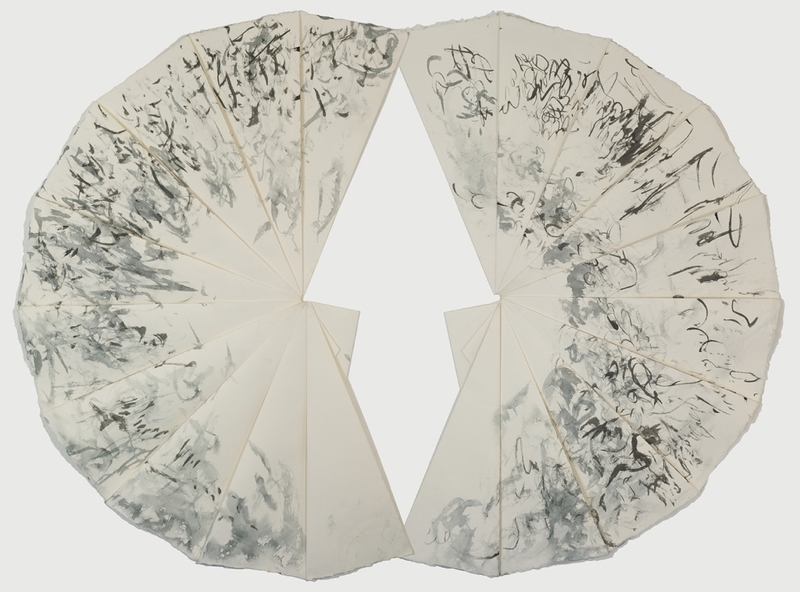 Chen completed a Master of Fine Arts by research at the College of Fine Arts, UNSW. 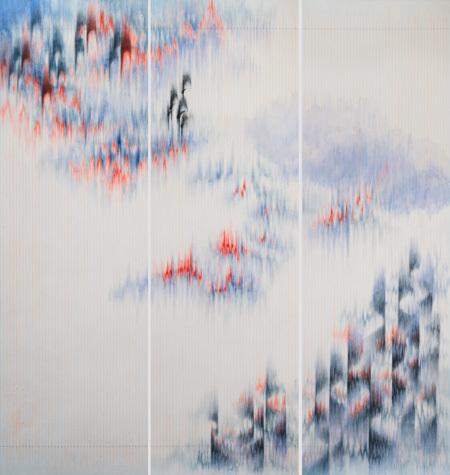 With work held in private and public collections, Chen has exhibited across Sydney and Melbourne in solo, group and finalist prize exhibitions. 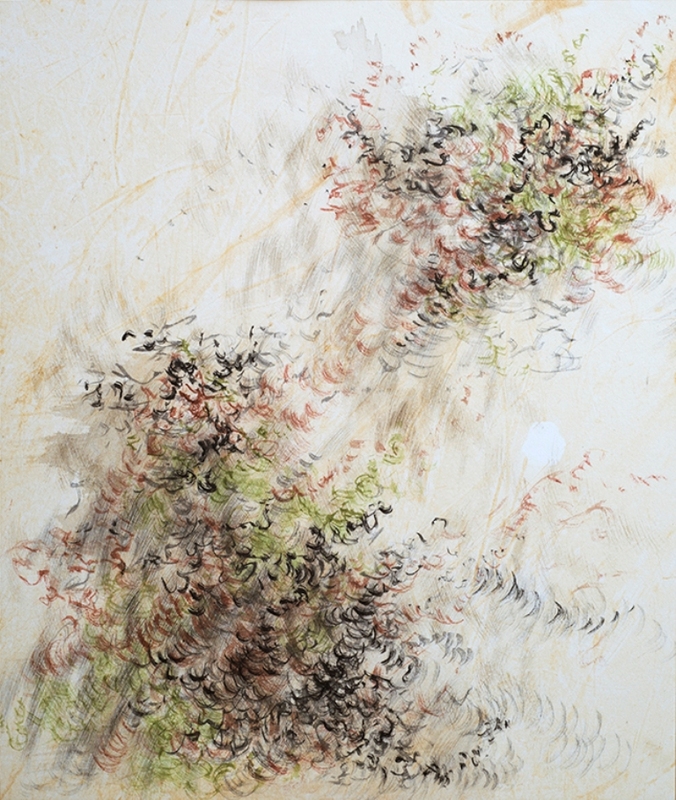 She was a finalist in the 61st Blake Prize in 2012 and a finalist for the Paddington Art Prize in 2013 and 2015. 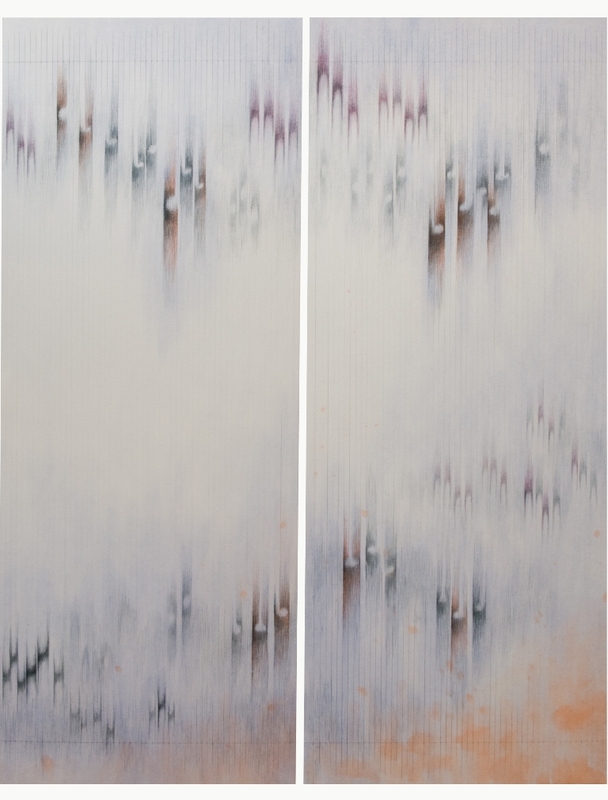 Chen undertook artist residencies at Akiyoshidai International Art Village in Japan and Hill End, Bathurst Regional Gallery in 2016. 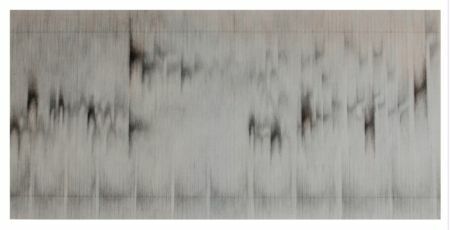 She was selected in Art Nova 100 in 2017 as one of 100 top Chinese artists under the age of 30 and exhibited in Today Museum in Beijing. 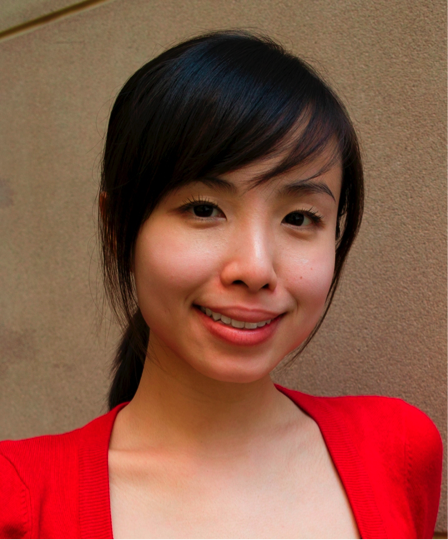 Cindy Chen was also selected in the Ningbo Museum of Art Artist Residency in Ningbo, China and will undertake the residency in the last quarter of 2018.